Dr. Jenna Abetz is an Assistant Professor in the Department of Communication. She teaches courses in interpersonal communication, narrative, and identity. 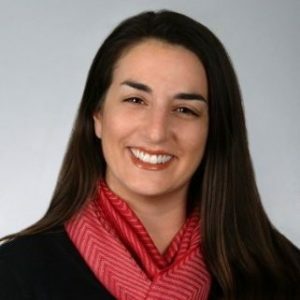 At the graduate level, she teaches identity and impression management, focusing on how individuals, groups, and organizations attempt to manage the ways they are perceived by others. Her research focuses on communication within and about interpersonal and family relationships, and she has won 6 awards for her scholarship. She has published more than 20 journal articles and book chapters in outlets including Western Journal of Communication, Women’s Studies in Communication, Communication, Culture & Critique, and the Journal of Social and Personal Relationships. Informed by qualitative and critical approaches to communication, she explores how individuals construct, make sense of, and negotiate identity during periods of relational transition or contestation. This work has included analyses of emerging adulthood, motherhood, parent-child estrangement, divorce, dual-career couples, and financial uncertainty. She seeks to conduct socially-meaningful, translational work that has practical applications for interpersonal relationships. To learn more about Dr. Abetz and her research, visit her faculty profile and ResearchGate profile. Dr. Michael Lee is an associate professor and the director of graduate studies for the Department of Communication. He teaches courses in political communication, rhetoric, media, composition, argumentation, and the history of the field of communication. His research focuses on political identity and language in the U.S., and he has won 12 awards for scholarship. His first published book, Creating Conservatism: Postwar Words that Made an American Movement won 5 national book awards (the Diamond Anniversary Book Award, the Winans-Wichelns Award in rhetoric & public address, the Kohrs-Campbell Prize in rhetorical criticism, the Gronbeck award in political communication, and the Hart award in political communication research). Dr. Lee is currently working on his second book, tentatively titled We Are Not One People: Secession and Separatism Since 1776. 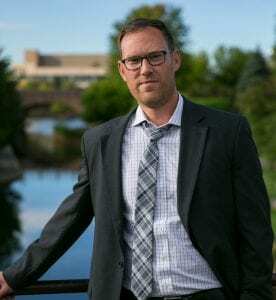 He has also published numerous essays on a variety of political topics including debates about conservatism, conservative media, the appeal of populism, American war rhetoric, and class warfare on television. He has spoken at universities across the country, and you can listen online to his discussion at MIT about the development of conservatism as a political force in the U.S. In addition to his research work, Dr. Lee enjoys helping undergraduate and graduate students improve their writing and public speaking abilities. To learn more about Dr. Lee and his research, visit his faculty profile and Academia pages. Dr. David Parisi is an associate professor of emerging media in the Department of Communication who frequently teaches graduate courses including: Social Media; Videogames and Visual Culture; and Media, Communication, and Technocultures. He has given presentations on his work at conferences across the world including the Netherlands, Norway, Austria, Germany, Italy, Australia, Japan, and Canada. 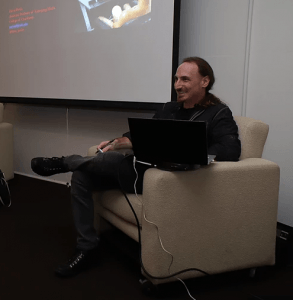 His presentation on “The Algorithms of Immediate Contact” can be viewed online, and he has also been featured in The Wall Street Journal and on the podcast, Stroke of Genius. His research explores touching with digital technologies, and he recently published a book related to this topic, Archaeologies of Touch: Interfacing with Haptics from Electricity to Computing. Dr. Parisi initially became interested in touch communication, or haptic feedback, growing up playing video games and witnessing the change that occurred in the 1990s when spinning motors were put inside controllers to make them shake and vibrate in players’ hands as games started sending messages using touch. Since the 1990s, the motors used to provide haptic feedback have grown in complexity and ubiquity, and Dr. Parisi has found that Haptic Media Studies provides an important framework for understanding how media technologies communicate with us through touch. To learn more about Dr. Parisi and his research, visit his faculty profile and Academia pages. Writing a paper is not a punishment. It is a rare opportunity to have someone seriously and carefully consider your ideas. The writer Henry James once said, “Good stories happen to those who know how to tell them.” Consider every paper assignment to be a great opportunity to learn how to tell your stories. Think of the paper as a chance to find and develop your unique voice. It may seem like more work up front, but it will reduce the amount of work you put in later. A good outline guides you through the writing process. It keeps you organized, helps ensure proper coherency (your flow of ideas), and can even deter writer’s block. Organize your paper by major components and then again by categories and subcategories. Bonus tip: writing out of order can help keep your thoughts straight. It’s often easier to write the introduction and conclusion last once you know all the points you’ve covered. Don’t plagiarize! You know the honor code, and the repercussions are not worth it. Say it in your own words, cite your sources for their ideas, and use quotes when you use an author’s exact words. You do not have to cite common knowledge or your own ideas. If you need help properly citing, the Purdue OWL is a great online resource to consult. Pay special attention to the following common grammar mistakes: commas, verb tenses, adjectives vs. adverbs, homophones (e.g. there, their, they’re), rare or uncommon punctuation, subject-verb agreement, proper noun capitalization and only proper nouns, and verb tense consistency. If you’d like to read more about each of these grammar mistakes, visit writingforward.com. Now is your chance to polish up your paper. Take a break after writing before you dive into proofreading. Don’t trust the spellchecker – it doesn’t find most grammatical errors. Read your paper out loud. If you tend to make certain mistakes, use the search function on your computer to search for them specifically. If you are unsure about APA formatting, consult the Purdue OWL or invest in a style guide. Bonus tip: Use an internet program to have your paper read to you. Want to read more about these points? Click the links below! Our final Girl Boss is Dr. Elizabeth Dorrance Hall. Elizabeth graduated from the MCOM program in 2011. Her story inspires us to be motivated, find your niche, and if you love academia, pursue it. If being a “doctor” doesn’t make you a #GirlBoss, then we don’t know what will! Make sure you click the links to read her full story. E: I received my MA in Communication from the College of Charleston in 2011. Since then, I attended Purdue University for my PhD in Communication, moved to Logan, UT for my first faculty job, and am now happy to live back in the state where I grew up (Michigan). My research focuses on difficult family conversations including marginalization in families and how family relationships evolve over time. E: I am an Assistant Professor of Communication at Michigan State University. I teach courses on interpersonal and family communication and conduct interpersonal and family communication research. What made you decide to pursue your Master’s degree in Communication? E: I was encouraged by one of my undergraduate professors to pursue my Master’s degree. My family also placed high value on higher education, so an MA was always something I thought I would work toward. I took a community college course in interpersonal communication during high school that set me on my path to study communication. Just one course and I was hooked for a lifetime of learning about communication. How did your experience in the MCOM program prepare you for your job? E: My experience in the MCOM program was hugely influential in my decision to apply for PhD programs. Working with Dr. Merissa Ferrara was my first taste of academic research and I fell in love. She, along with Dr. Kopfman, introduced me to statistics and taught me how to ask and answer interesting questions. The courses in my MCOM program along with serving as a teaching assistant for Gender Communication prepared me to teach undergraduates during my PhD program. I made some amazing friends in the program who were also group mates through many research papers and projects. These women have continued to encourage me and cheer me on through my academic journey. It is amazing to see where we have all landed after just seven years! E: While at Utah State University, I co-founded the Family Communication and Relationships Lab (link: https://www.familycommlab.com/). The FCRL facilitates research on families and interpersonal relationships across the country. Is there anything else you’d like to share about your work experience or fond memories of the MCOM program? E: I deeply enjoyed my time at CofC and had a very meaningful experience in the MCOM program. The support of the faculty and my fellow grad students has truly shaped my life and career. Charleston is an amazing place to spend a couple years studying communication. I’d recommend it to anyone! You can find more on Elizabeth’s work at: http://www.dorrancehall.com/. That’s all of our MCOM #GirlBosses for now. I hope their stories have inspired and motivated you to follow your passions. Have a safe and restful summer — we’ll see you in August! 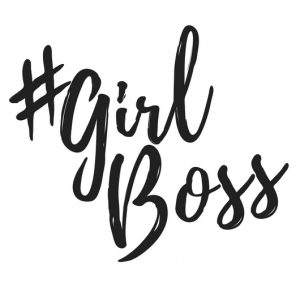 Next up on the Girl Boss interview agenda is MCOM alumna, Heather Woolwine. 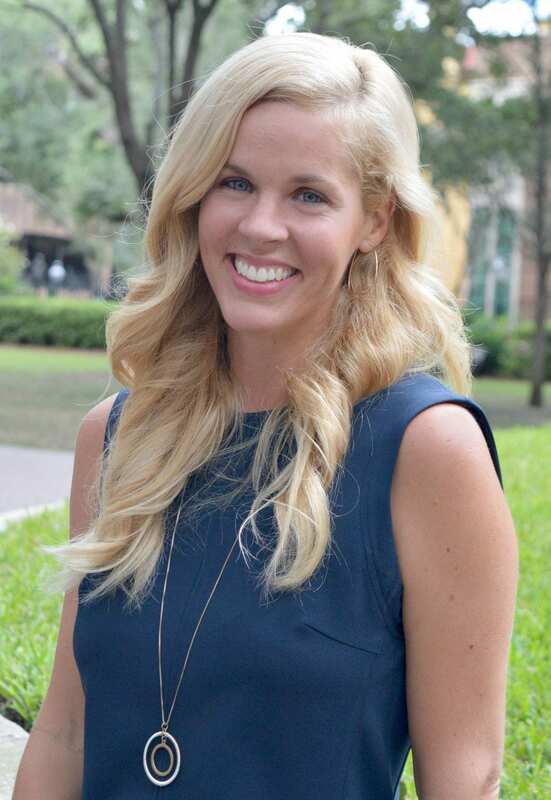 Heather graduated from the MCOM program in 2011, and now leads the Public Affairs and Media Relations team at the Medical University of South Carolina (MUSC). She sets a great example for professional students who are trying to earn a graduate degree while working full time. This media relations director, health communication extraordinaire, wife, mother, and self-proclaimed “education geek” is the definition of a Girl Boss! Heather described her childhood as nomadic. Her father worked in marketing and advertising so they moved around a lot. She believes that this taught her to adapt to change and it fed her natural curiosity. Curiosity is what makes her a lifelong learner; Heather believes there is always the opportunity to know more and do more. She realized early on that she needed to find a discipline that would enable to her to flex all those muscles, and communication seemed to be a good fit. Heather is a public affairs and media relations director. When talking to her about her daily tasks, she laughed at the idea of having a consistent list. She says “no one day ever looks the same.” She describes her soiree of responsibilities with a bucket metaphor; her daily tasks fall into many “buckets” such as media relations work, proactive work (e.g. campaigns, stories), reactive work (e.g. community happenings that need research), internal communication, strategic communication, and risk and crisis communication. Her signature statement is, ‘I’d rather be dizzy than bored’. Heather liked school and referred to herself as an “education geek.” She decided to get her Master’s degree for a few reasons: (1) she was at a point in her career and personal life where it made sense to go back; (2) she wanted more education to be able to apply theory to her work; and (3) she liked that the MCOM program catered to working professionals which gave her the ability to work at her own pace. She said that this also created a great mix of people in their classes — everyone from new graduates to those trying to juggle school and careers. It offered many new and different perspectives. How did your experience in the MCOM program prepare you for your career? Share your biggest accomplishment in your current position. Her biggest accomplishment is her storytelling skill. Heather said that it is very rewarding to be able to tell stories in such a way that you are making a difference in someone’s life. Heather asked to share a bit of advice with current and prospective students. She said that before you come into the program, it’s important to manage your expectations. To achieve your goals, you have to engage with your support system both within and outside of program. Today’s Girl Boss is Emily Padgett. Following Emily’s graduation from the MCOM program in 2012, her internship mentor helped to create a new position just for her here at the College. Emily’s experience teaches us to always hold yourself to a higher standard, be persistent, and focus on cultivating a great relationship with your mentor. Here’s a glimpse into Emily’s professional life. E: I’m originally from the Upstate but have lived in Charleston now for close to 10 years. I like to travel and see live music in my free time as well as get outdoors as much as possible. E: My current title is Assistant Director of Scholarships and Donor Relations for the College of Charleston. I work in Institutional Advancement for the College and also work with the College of Charleston Foundation. My job is to connect our scholarship recipients with their donors and vice versa. I do this through educating students on the role philanthropy plays in their lives. I create videos for donors as well as develop a whole host of other print materials and assist in planning events for donors and scholarship recipients. I also work part-time for another non-profit called Raise Up Charleston. It’s a mentoring and scholarship program designed to equip young men with the educational skills and necessary materials to maintain a 3.0 or higher GPA and score above average on the ACT and/or SAT in order to gain acceptance into a post-secondary school. The program is designed to teach young men the personal responsibility, self-discipline and social skills required to succeed in post-secondary education and their future careers. E: I was one of the unfortunate people that graduated right before the big recession (Coastal Carolina University class of 2006). After finally landing a position for a small development company, I quickly realized that I needed to do more with myself and my life. I loved my communication courses in undergrad and wanted to expand upon them so decided to go back and get my Masters as a full-time student. E: I actually started working for Institutional Advancement during my graduate experience as a student worker. I was lucky that it was such a good fit and I found a phenomenal boss and mentor that believed in me and helped to create my position for me. The MCOM program helped me prepare for my career by truly incorporating coursework with real work experiences. I was able to learn in the classroom and take it directly to work. E: One of my biggest accomplishments is still in the works, somewhat, but we are currently working towards implementing a new online scholarship application process that will help students better connect to available funding opportunities. It’s been a long time coming and it’s a lot of work, but definitely worth it! Is there anything else you’d like to share about your graduate/work experience? E: I had some of the best professors in the program and really lucked out with my advisor, Dr. Amanda Ruth McSwain. She was instrumental in helping me make it through. My name is Erika LeGendre and I’m from North Charleston. I’m a two-time alum of the College of Charleston. I graduated in 2014 with a Bachelor’s of Art in Communication and then again in 2017 with a Master’s of Art in Communication. E: I work here at the College in the School of Business as the associate director of marketing and communications. I am primarily responsible for the promotion of the undergraduate programming at the School. E: If you had told me in undergrad that I would pursue a Master’s of any kind, I would have said ‘no way’. It wasn’t in my plans. But, I fell in love with the discipline of communication in my last two years of undergrad. It was almost bittersweet for me to graduate because I felt that I had just skimmed the surface of the field in my last two years. I decided after working for a year after graduating that I wanted to go back to study communication at the graduate level. I decided to come back to the College because I was already familiar with the atmosphere and the great faculty in the Department of Communication. E: It taught me the importance of making informed, data-driven decisions and tying all marketing communications decisions back to a mission statement and company values. It also taught me the importance of research. In my current field, market research and insights give communications professionals a safety net to make informed decisions. E: I’ve only been in the role for a few months now, but my biggest accomplishment so far has been planning and successfully executing the Impact Day event at the School of Business. It was a huge undertaking where we welcomed some of the most renowned impact investing experts from around the globe for a day of panels and networking. The purpose of the event was to position the College and the city of Charleston as the hub for businesses that make a difference and make a profit at the same time. We got to showcase a lot of students doing amazing things as young entrepreneurs – it was very inspiring! I’m happy I got the opportunity to do so. E: It was great moving through the program with a cohort that sticks along with you through the entire thing. That’s something you don’t get from undergrad. I grew really fond of my cohort members and learned a lot from them. We’re finishing this semester with an inspirational mini series all about our MCOM alumnae, who we affectionately dub Girl Bosses. I had the opportunity to get to know some of our most successful lady alum, and now I have the honor of sharing the highlights from our conversations with you. 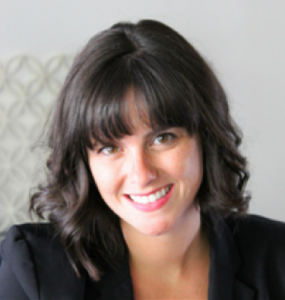 The first interviewee on our Girl Boss lineup is Alyssa Maute Smith. Alyssa graduated from the MCOM program in 2013, and now owns her own communications firm and leads the marketing and communications function for Charleston Wine + Food. Alyssa teaches us to be (immensely) ambitious, creative, and entrepreneurial-minded. Also, she’s passionate about food and wine… so you know she must be a pretty cool cat. A: I am a native Charlestonian that grew up on James Island. I love being from Charleston and I love that I still call this place home. I married my high school sweetheart (we both went to Clemson together) and now we both live on James Island with our first son, Owen Smith. I am a mom, entrepreneur, feminist, avid learner, and lover of Southern football. I enjoy boating, fishing, crabbing and eating out at all the fabulous restaurants we have here in Charleston. 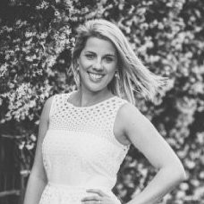 A: I am the Marketing + Communications Director of Charleston Wine + Food and owner of Vestige Communications. 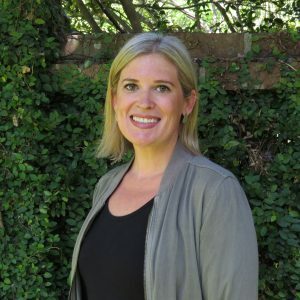 As Marketing + Communications Director for Charleston Wine + Food, I am responsible for the creation and management of all consumer-facing brand marketing, messaging, and communication. The overall goal of the Marketing + Communications Director is to strategically support ticket sales, effectively communicate the organization’s higher purpose, and overall manage + protect the Charleston Wine + Food brand. As owner of Vestige Communications, I work with several businesses in the Charleston area to develop and executive strategic communication + marketing campaigns, messaging and overall communicate the organization’s mission and purpose. Some clients include and have included Lowcountry Local First Chef’s Potluck, Lowcountry Local First’s Eat Local Month, New Leaf Builder, Melvin’s Barbecue, and Eagle Harbor Ranch Wingapalooza. A: I attended Clemson University and received a BA in Communication Studies with an emphasis in PR. My minors included Journalism and Spanish. After graduation I returned to Charleston and began to work for a local, small art studio. Working in a small business inspired me to open my own business. I decided to entertain this idea by going back for my Masters. I attended to College of Charleston’s MA in Communication program at night while still working a full time job. I knew a masters degree was something I always wanted to attain. I would consider myself an eternal student. I love learning new things and applying that learning to my daily life. A: The MCOM program was exactly what I needed at the time I went back to school. The classes were challenging and dynamic. I took several courses in PR, leadership and women + gender studies. I think the most influential classes were my leadership and women + gender studies. As a female entrepreneur and someone who leads a small team, these have been instrumental in establishing my leadership style and workplace practices. I feel lucky that I have the pleasure of working with an all female team and a very much male-dominated industry. The coursework and in depth case studies I was exposed to in the MCOM program greatly set me up for a realistic look at work in the 21st century. Can you share your biggest accomplishment in your current position? A: As Charleston Wine + Food’s Marketing + Communications Director I oversaw the marketing strategy for the 2018 festival. This year’s festival saw our largest attendance to date – 29,072. We secured over 200 local, regional and national media mentions totaling 528,333,941 impressions; saw website traffic of 1,002,250 impressions, secured partnerships with 32 media outlets including Wine Spectator, SAVEUR, Tasting Table, Food Republic, Bake from Scratch and Fast Company. A: Through the MCOM program I met Dr. Ruth-McSwain. I was greatly inspired by her and her work. In my current role as Marketing + Communications Director, I reached out to Amanda to see if she would be open to a partnership with her senior capstone class. In 2016, we created the first capstone class at the College that would work with a real nonprofit as their agency of record. The students went through a primary and secondary research phase and presenting their findings to me (AKA “the client”). They then went into an idea generation period where they came up with a full communications campaign that they pitched to me. We worked through the back and forth that often occurs between client and agency and settled on campaigns that they would execute for Charleston Wine + Food. Following the campaign execution phase, they analyzed and reported key findings. She and I have now done this with 2 capstone classes and are approaching our third. We have overseen a total of 40 students who learned more in this one class experience than we could have ever imagined. I still have students thank me for the experience and share the doors that were opened for them because of it. This all came to be from my participation in the MCOM program and meeting Amanda. Bonus material for your reading pleasure: This is a bio that Alyssa’s coworker wrote about her. We think it’s quite fitting. With application deadlines quickly approaching for the 2018-2019 academic year, it seems to be an appropriate time to share an update on the curriculum changes planned for the Master of Arts in Communication program. Some of you may have already heard the rumor: starting Fall 2019, the MCOM program will be moving online. The proposal calls for the current two-year, on-campus program to be transformed into an online degree program with a one-year completion option. This is a big change! So why is the program changing? I talked to MCOM program director, Dr. Amanda Ruth-McSwain about the proposal, and asked her to share some details about the new direction of the program. We made this decision in order to better serve the needs and interests of the local community of communication professionals. The proposed program offers students the flexibility and convenience often required for working professionals along with a rigorous, engaging and tailored advanced educational opportunity in communication. I think it is important to emphasize that the learning experience is not changing, just the mode of delivery and versatile degree completion schedule. The updated program includes a curriculum of six content modules with the first focusing on foundational topics such as theory and research methods, then moving into specialized topics like leadership communication, digital media communication, and strategic communication. This is quite the change from the traditional three-course-semesters that many graduate students expect. In addition to the new course structure, the program includes a six-hour capstone module that will offer unique, transformative learning opportunities for students; the capstone module will require the application of course content and demonstration of industry best practice through independent-study projects, community-based research teams, undergraduate classroom teaching experiences, and professional immersion opportunities. Although the program will be online, we are fortunate to still be able to offer financial support and work experience for our students through scholarships, fellowships, assistantships, and student worker positions. Assistantship and student workers positions will also offer students the opportunity for campus immersion even though their coursework will be delivered in the online environment. Currently, the Master of Arts in Communication manages 3.5 funded graduate assistant positions. Two positions are designed for students interested in working alongside faculty mentors in the undergraduate classroom, COMM 214. The other two positions provide support for the marketing efforts, social media coordination, event planning, and office administration in the Department of Communication. Additionally, other departments across campus offer similar positions, so there are plenty of opportunities to get involved on campus. This is a fairly significant change for not only the Master of Arts in Communication program but for graduate programs across the College of Charleston. However, this revision to our curriculum does not change the degree or the value of the graduate experience. Graduate faculty in the Department of Communication are committed to maintaining rigor and quality in the virtual classroom as well as provide the same level of student support and extra-curricular opportunities that current (and previous) students have received. We spent over three years on this program revision to make sure we got it right…and I am confident that the program will remain a valuable and worthwhile investment for communication professionals in all seasons of their career. The new format allows the program to reach potential students and accommodate busy schedules. Further, the program will give students located outside of the Charleston area access to a rigorous graduate education with a flexible schedule. Given the 12-month degree completion option, newly-graduated baccalaureate students may stay at the College of Charleston to earn their Master’s degree in just one additional year. The proposal presents an exciting time and future for the MCOM program. Whether you wish to earn your Master’s degree from a distance or participate in a hybrid graduate experience, or complete the program in one year or more than one year, the MCOM program can now allow students to tailor their education to their individual needs. If you’d like to learn more about the change, please contact Dr. Amanda Ruth-McSwain at ruthmcswaina@cofc.edu.